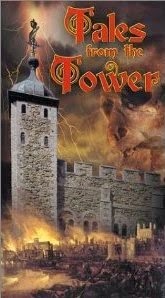 Tales from the Tower was released in 2001 by Ardent Productions, a film company based in England. It was produced for the American market and aired on The Learning Channel. Producers: Robin Bextor, Edward Wessex (also known as Prince Edward, Earl of Wessex), Larry Lamb and Peter Koper. Directors: Paul Bryers and Robin Bextor. Writers: Daniel Diehl and Mark P. Donnelly (who later published a book with the same title in 2004). N.B. This video should not be confused with the National Geographic production, Bloody Tales from the Tower, released in 2012, which was an excellent production. For the transcript and video, please go here. The section on Jakobs was about 15 minutes long, and from start to finish, was exceedingly aggravating to watch. Inaccuracies abounded, and the entire account was fictionalized and dramatized so as to be virtually unrecognizable from historical fact. While the MI5 interrogation files had not yet been released at the time that the video was produced, the court martial documents and other references were available to the producers and writers. The video began by narrating a supposed encounter that took place in 1991 between a Beefeater (Tower Warder) and the middle-aged daughter of Josef Jakobs. The only daughter of Jakobs died in 1946. It was one of the grand-daughters of Jakobs who visited the Tower in 1991 in the company of reputable military historians. The conversation with the Beefeater described in the video was pure fiction. According to the video, Jakobs landed by parachute in a semi-wooded area with a broken ankle that, according to the video narration, was an "immobilizing injury". Despite the injury, the video showed Jakobs hobbling around the countryside, brandishing his firearm at a farm wife and chasing her through a mature forest before finally returning to his landing site. The video condensed Jakobs' time in England drastically and made it appear as if he was captured, court martialled and executed in rapid succession, if not on the same day. In actual fact, Jakobs landed on 31 January 1941, and was executed almost 8 months later on 15 August, 1941. The accelerated timeline in the video was apparently deemed necessary to explain why Jakobs was seated in a chair for his execution - because he was unable to stand due to his broken ankle. In actual fact, all of the German spies executed by firing squad during World War I were seated in a chair as well - it was simply standard procedure. All of the scenes from the Jakobs re-enactment were clearly shot in a rural area with access to some farm buildings. Even the scene purportedly depicting the execution at the Tower was filmed in a farm shed. Finally, Jakobs was 43 years old when he was executed, however the actor who portrayed him looked to be in his early 60s. Beyond these glaring errors, there are too many inaccuracies to count or review - e.g. he was conscious when he was found, not unconscious; he was found by two farmers, not one; he was taken by horse and cart to Ramsey Police Station, not by a jeep to a tribunal; etc. The segment on Josef Jakobs from Tales from the Tower was ludicrously inaccurate and highly fictionalized. History can be made interesting while remaining faithful to the facts and avoiding the creation of fictitious drama. 0/5 - This video segment has no redeeming qualities whatsoever.